San Diego, CA, June 28, 2016 –Affirmed Housing is pleased to share, Vermont Villas wins PCBC Gold Nugget Award. A collaboration of Affirmed Housing & PATH Ventures, Vermont Villas provides 79 apartment homes for homeless and disabled Veterans. The development of Vermont Villas included the involvement of numerous organizations including: Bellwether Enterprise, Chase Bank, Corporation for Supportive Housing, Enterprise Community Investment, Federal Home Loan Bank of San Francisco, Home Depot Foundation, Housing Authority of Los Angeles, JP Morgan Chase Bank, Los Angeles Department of Health Services, Los Angeles Housing and Community Investment Department, Darsono Design, Fuscoe Engineering, PATH, Solari Enterprises, The Sotelo Group, Withee Malcolm Architects, and Westport Construction. The Gold Nugget Awards are the oldest and most prestigious design awards in the nation and a centerpiece of PCBC. Recognizing those who improve our communities through exceptional concepts in design, planning and development, Gold Nugget Awards are open to builders, developers, architects, and land planners with communities and projects in the United States and all international countries. Gold Nugget Awards winners share one common denominator: excellence and innovation in addressing complex design/build issues. 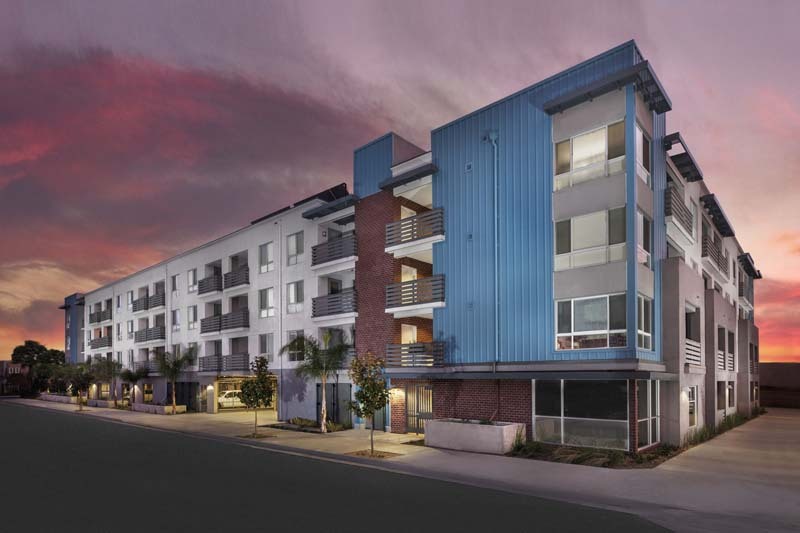 Headquartered in San Diego, Affirmed Housing is dedicated to improving and sustaining the viability of California through the development of affordable housing. Affirmed enhances communities and our environment by building professionally-managed, high-quality, green, mixed-use multifamily housing. For more information, visit www.affirmedhousing.com.